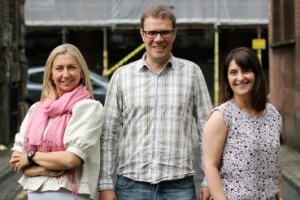 Design agency Pixel8 has brought in three new staff as it celebrates a hat-trick of client wins. The Manchester-based company has hired Sara Wilson as head of client services, Matt Raynes as a search engine optimisation manager and Andrea Green as a senior account manager. Wilson joins from 2ergo Group while Raynes and Green arrive from Carat Media and Creative Vein respectively. Pixel8, which recently announced that its brand management software Brandit was being used by Radisson, has also picked up three pieces of new work. It will take on marketing work for the multi-million pound expansion of the Kia Bolton dealership, the rebranding of Stoke-based Seddon Property Services to Novus Property Solutions, and branding and web design work for Altrincham energy management specialist Energy Solutions Group. Pixel8 managing partner Jamie Watson said: “We have increased our turnover in five years from £100,000 to £1.2m and have put the foundations in place for further growth by strengthening our management team, providing new and innovative solutions for our clients and expanding our customer base."